Skittles may want you to taste the rainbow, but 7-Eleven is only concerned with the green part. 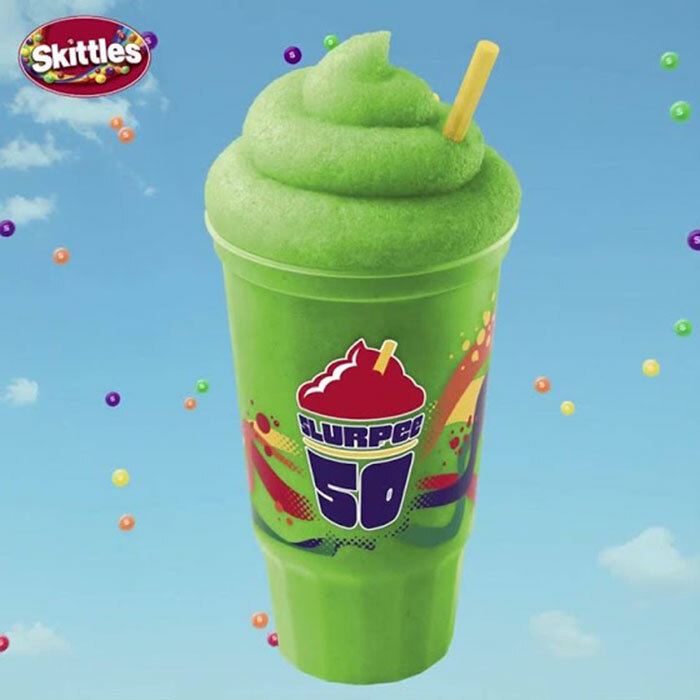 If apple ranks supreme in your ranking of artificial candy flavors, you’ll be excited to learn that the convenience store has just rolled out the Green Apple Skittles Slurpee. The news comes on the heels of 7-Eleven’s two-for-one promotion, lasting from September 12 through September 18. Because now that summer is basically over, why not double fist the sugar-laden frozen drinks until you can hibernate before winter? This isn’t the first time 7-Eleven has introduced candy-themed Slurpee flavors, having previously partnered with Airheads and currently with Sour Patch Kids. While this is certainly an exciting moment for green apple, we're looking forward to the "every single Skittle in your mouth at once" flavor.